Captain Thomas was a member of the US Air Force in Korea. He was listed as Missing in Action while participating in aerial support over Korea on August 3, 1950. He was presumed dead on December 31, 1953. Captain Thomas was awarded the Purple Heart, the Korean Service Medal, the United Nations Service Medal, the National Defense Service Medal, the Korean Presidential Unit Citation and the Republic of Korea War Service Medal. 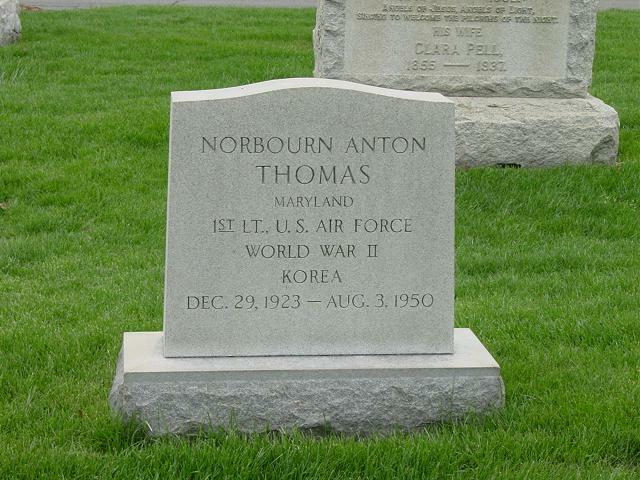 First Lieutenant Thomas was a member of the United States Air Force in Korea. He was Killed in Action while engaged with the enemy in Korea.